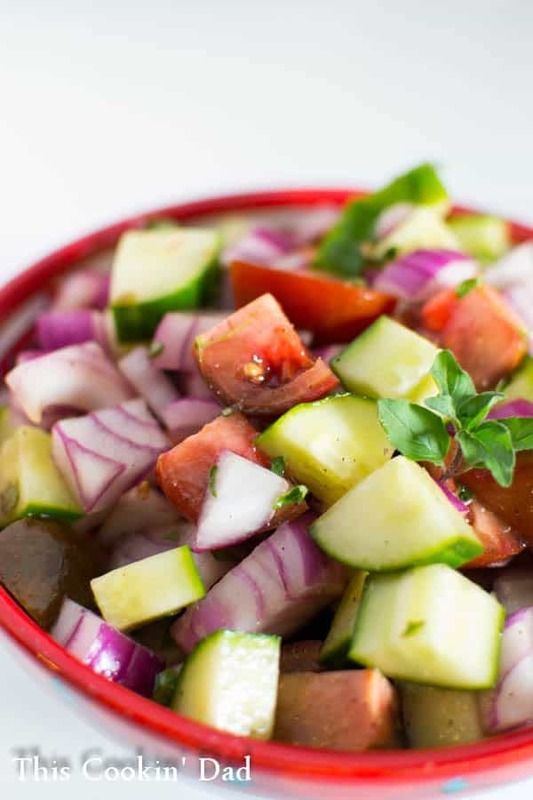 Not sure what to serve as an easy appetizer? These South of the Border Deviled Eggs are the perfect appetizer with a kicking flavor. Hey there! This is Brian from This Cookin’ Dad. You know, one of my favorite food trends these days is deviled eggs. 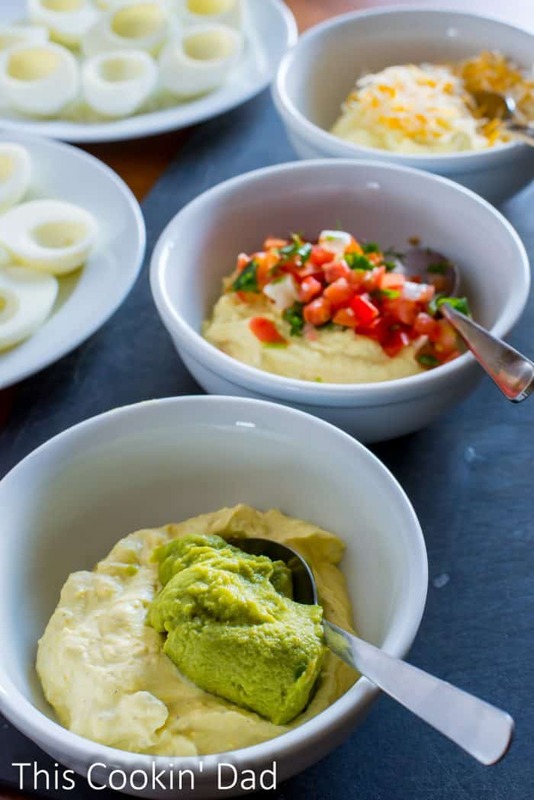 Home cooks and chefs alike are doing crazy, inventive things with deviled eggs. You wouldn’t believe my surprise the first time I saw deviled eggs on a restaurant menu! 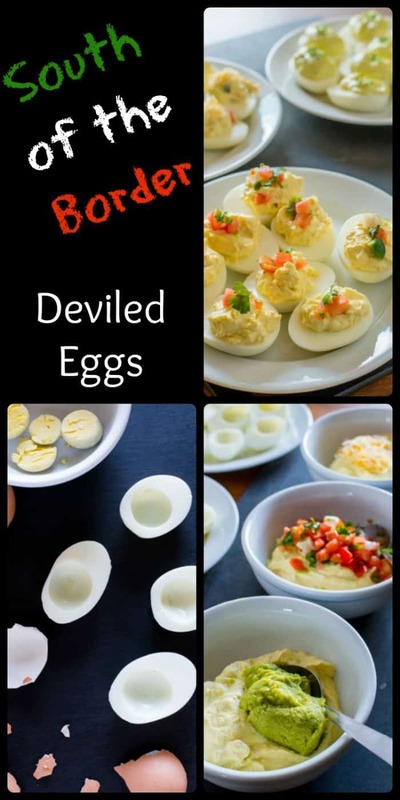 With just a few easy mix-ins, you can have your own deviled egg party with amazing “south of the border” flavors! There’s something about deviled eggs that just brings me back to childhood. Who didn’t grow up sneaking into their grandmother’s kitchen to grab one while she made them up for potlucks, family picnics, etc? At the time, they seemed like they were only for special occasions, but as easy as they are the make, it’s a wonder that we didn’t have them more often. I’ve seen all kinds of variations on deviled eggs. At the moment, though, I’m dieting…trying to get into my “summer dad-bod” shape! One of the things I miss most is tortilla chips with cheese, salsa, and guacamole. Since we are cutting out corn and gluten for a while, those chips just aren’t going to happen! 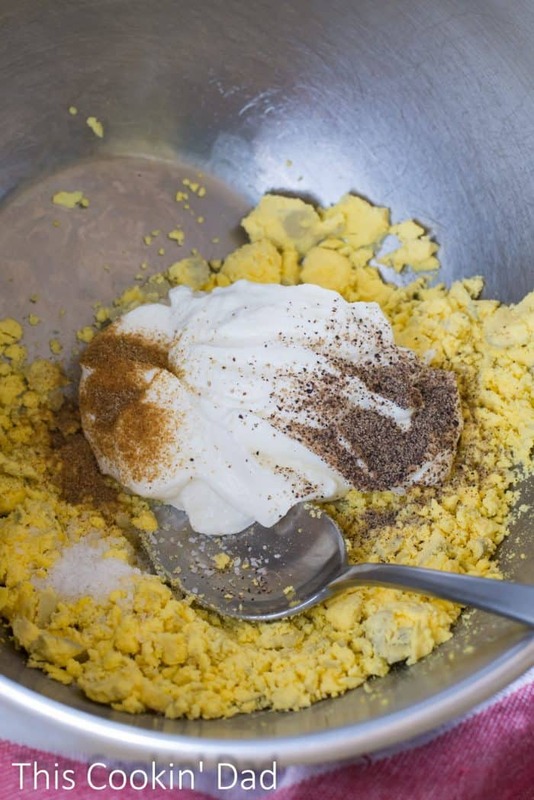 Thankfully, deviled eggs pack loads of protein and, with these mix-ins, they are perfect for fulfilling that craving. 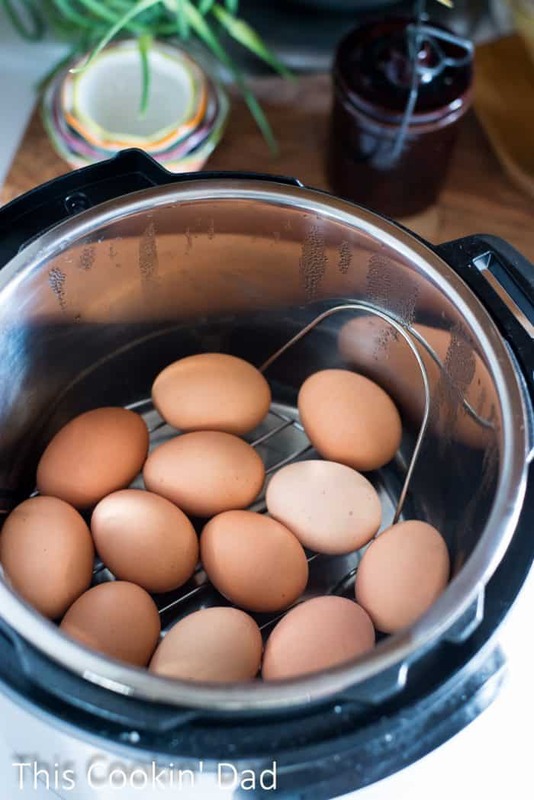 The first thing to do, of course, is to make up a batch of hard-boiled eggs. 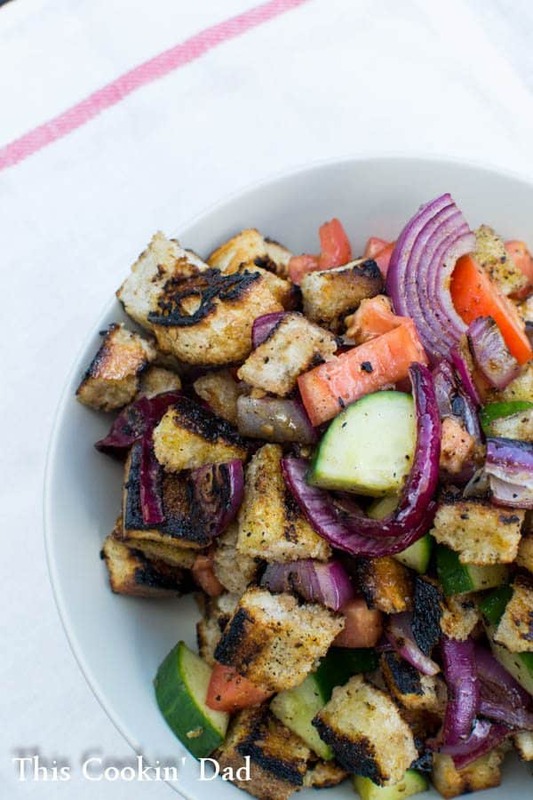 We have found that the best way to do this is in our Instant Pot. We put one cup of water into the pot and place a dozen eggs onto the removable trivet. We set to Manual on high pressure for six minutes, natural release for another six, then remove the eggs to ice water for a final six minutes. 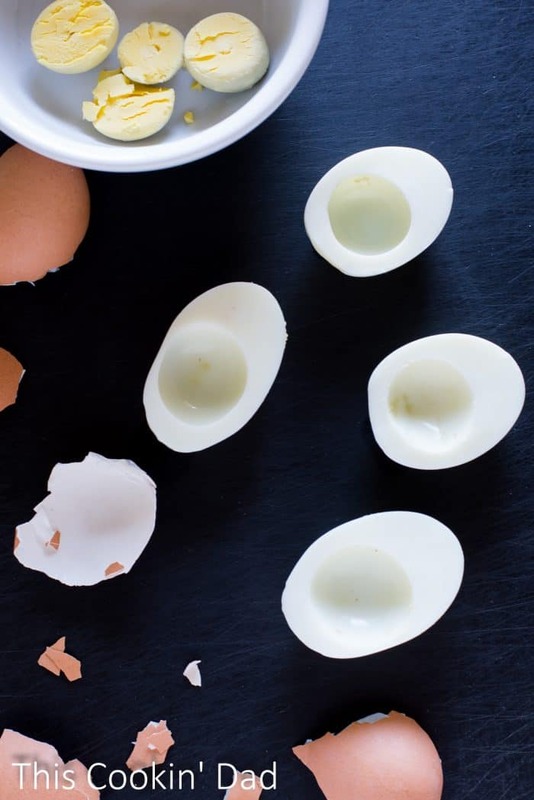 These are the easiest peeling and best cooked eggs we’ve ever tried! Once the eggs are all peeled, I slice them in half and remove the yolks. …and add in about a cup of low-fat sour cream, a teaspoon of salt, half a teaspoon of freshly ground black pepper, and half a teaspoon of cumin. I mix it all together and divide equally into three separate bowls. This is where I start adding my mix-ins. I could make my own, but I’m happy to rely on well made store bought items. Into one bowl, I add a 2 oz. package of guacamole (you know…those individual serving pouches). Into another, I add about 1/4 cup of pico de gallo. Into the third, I simply add about 1/4 cup of shredded Mexican cheese mix. Stir to combine. Next, I start spooning the mixes into the egg halves. 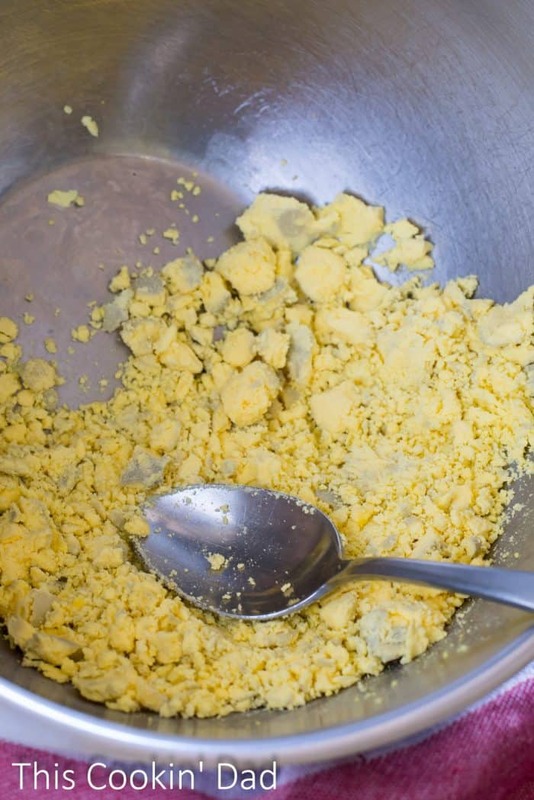 One spoon to hold the mix and another to scrape it into the eggs. This is the part where we don’t tell my wife just how many spoons I used in making this recipe! To serve, I garnish each of the deviled eggs with salsa, cheese, or fresh chives. 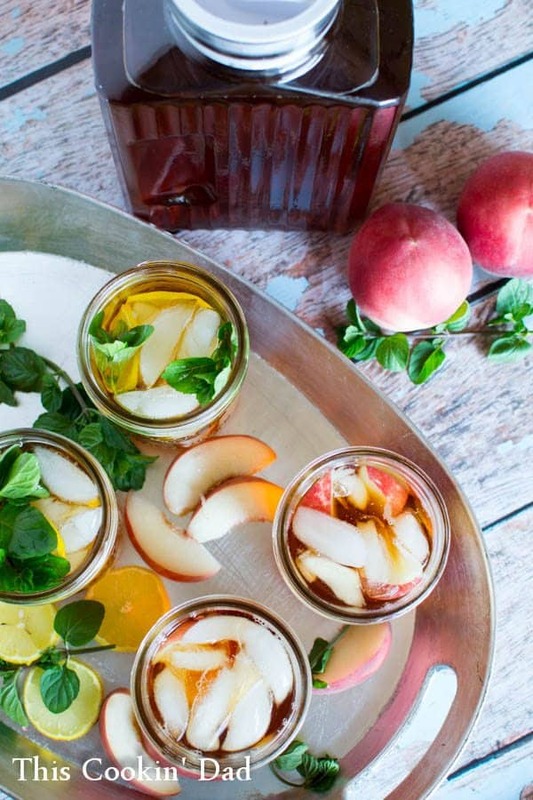 These are the perfect way to kick up your typical potluck and satisfy those snack cravings. I hope you enjoy!